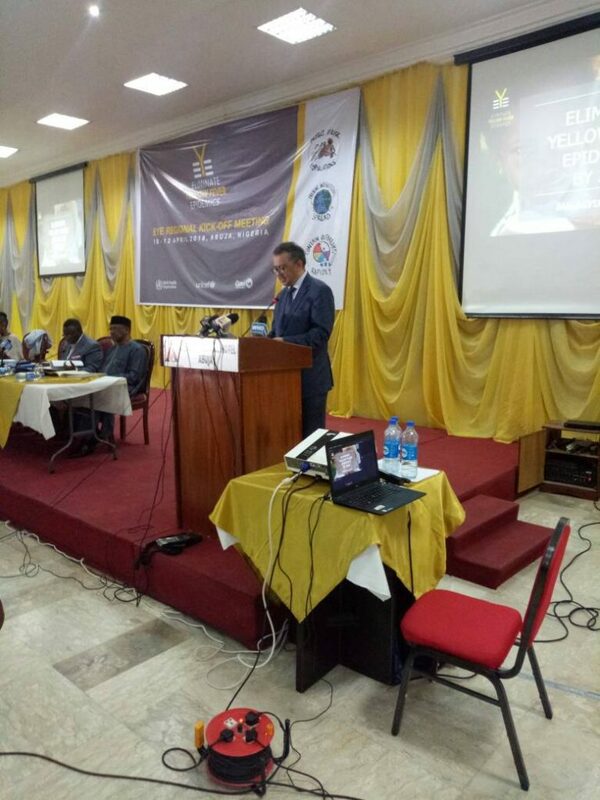 The Director General of the World Health Organization, Dr Tedros Adhanom Ghebreyesus is in Nigeria for a three- day Global Policy Group (GPG) Meeting. This meeting is holding in Nigeria for the first time and it is to hold from Tuesday 10th- Thursday 12th April, 2018. The Global Policy Group (GPG) is an internal advisory mechanism to the Director-General, established to ensure the coherent implementation of decisions, policies and strategies of WHO across all levels of the Organization. The GPG consists of the Director-General, Deputy Director-General, six Regional Directors and the Executive Director of the WHO Emergencies Programme. 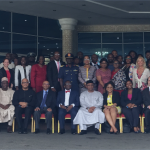 Today, the WHO boss and delegates from all over the world witnessed the launching of #EYEstrategy- Eliminate Yellow Fever Epidemic Strategy in Africa which is kick-starting in Nigeria. 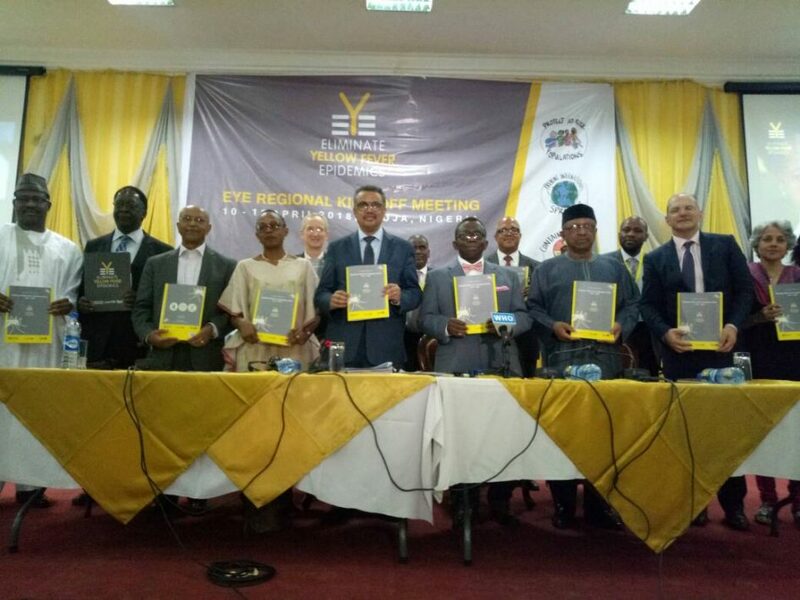 The #EYEstrategy is a structured plan to eliminate yellow fever in Africa by 2026 in a continuous effort to strengthen health security and ensure health for all. 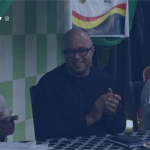 According to the CEO of the Nigeria Centre for Disease Control (NCDC), Dr Chikwe Ihekweazu one of the delegates that witnessed the launch, noted that the recent outbreak of yellow fever in Angola, Congo, Brazil and re-emergence in Nigeria shows that the journey to eliminate yellow fever is a marathon, not a sprint. Here’s a highlight of Dr Tedros’ speech as he set the plan in motion. 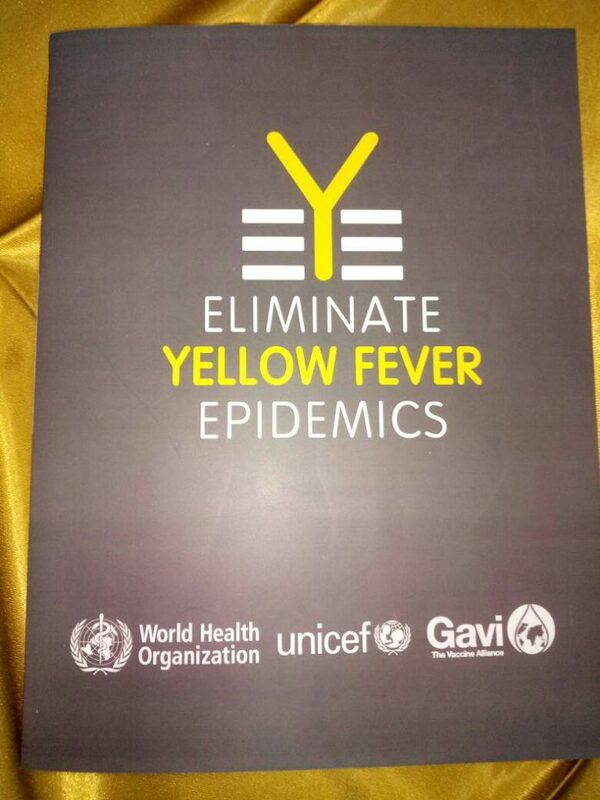 It is a great pleasure to be here today in Abuja, as Africa launches this important strategy- Eliminate Yellow Fever Epidemics (#EYEstrategy). It comes at a very important time. In Africa, families are at high risk of yellow fever epidemics, there are 270,000 cases of yellow fever and 60,000 deaths every year. In 2016, during the yellow fever outbreak in Nigeria, 967 cases were confirmed and 400 people died. As we know Brazil has been responding to yellow fever outbreak since December 2016, with 1025 cases. There is a growing risk that yellow fever will spread to cities in Niger and other parts of the world. We must not let that happen. We must fight now. 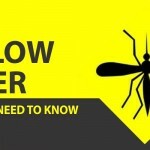 Yellow fever is a mosquito borne diseases but it’s not like dengue and malaria for which developing an effective vaccine has been challenging, there is an effective and affordable vaccine against yellow fever. A single injection can protect innocent children from dying therefore failure to defeat yellow fever is not a failure of design, but a failure of market, because vaccine production is not very profitable enough for the production companies. And it’s a failure of political will, because up till now our actions have not been decisive enough. The #EYE strategy is a plan to vaccinate literally 1 billion people in Africa against yellow fever by 2026. Never has the continent seen such a massive effort against the virus. The #EYEstrategy is based on lessons learned from previous experience in West Africa. A strong partnership will allow us to eliminate yellow fever totally by 2026. 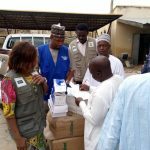 With support from WHO and its partners, more than 25 million people will be vaccinated against yellow fever in Nigeria this year. 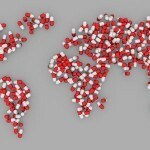 On Saturday we mark World Health Day which is celebrated every year on the 7th of April, the day on which WHO was founded. This year we were proud to celebrate our 70th birthday, our theme this year is Universal Health Coverage, #HealthForAll. WHO was founded on the conviction that health is a human right, no one should get sick and die just because they are poor. All people should have access to the health services they need, when and where they need them without suffering financial hardships. That includes yellow fever vaccines, everyone has a right to be protected against this easily preventable disease. Stronger systems are better able to prevent, detect and respond to outbreaks of yellow fever and other diseases rapidly before they sprawl out of control. That is exactly what happened with the case of the Ebola outbreak in Nigeria in 2014, when the Ebola virus arrived from Liberia, you were able to quickly contain it and limit the damage, only 7 people died. We all know it could have been much much worse. My point is this- health coverage and health security are two sides of the same coin, we must enable systems, make a down payment on a fair sacred and prosperous future.